‘This Feeling Alive UK Tour 2018’ will be arriving at the Green Door Store in Brighton on Tuesday 27th November. 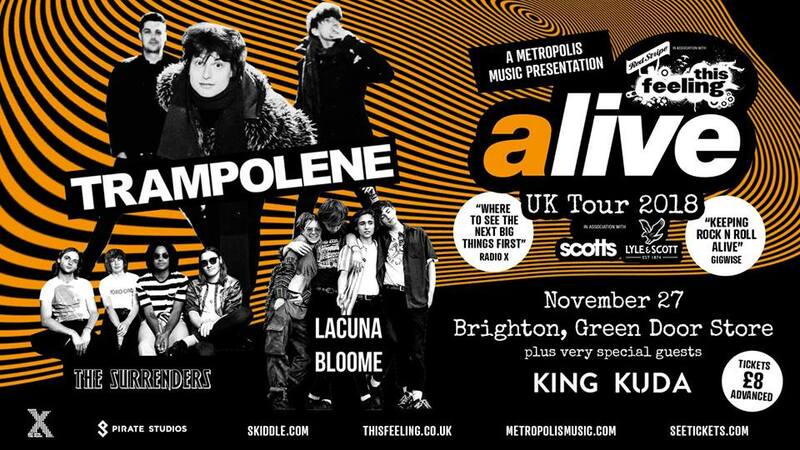 This time around the headline act will be Trampolene. 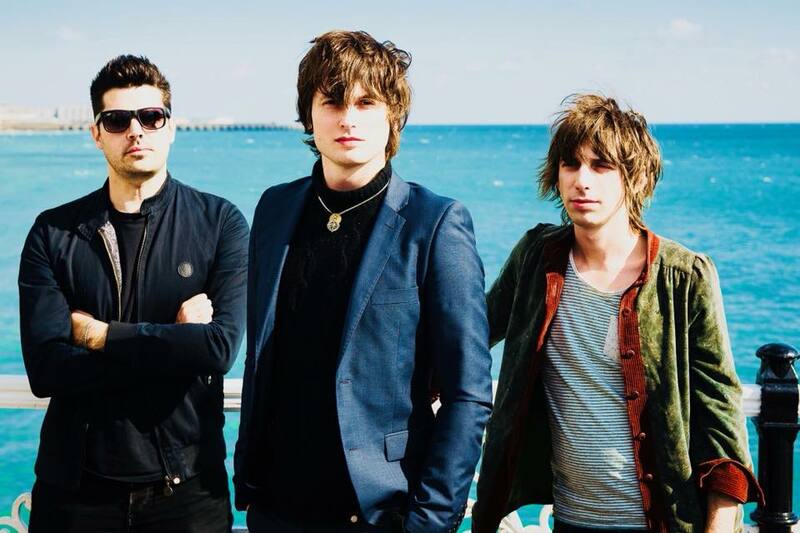 Trampolene are a Welsh alternative rock band hailing from Swansea, who are now based in London. 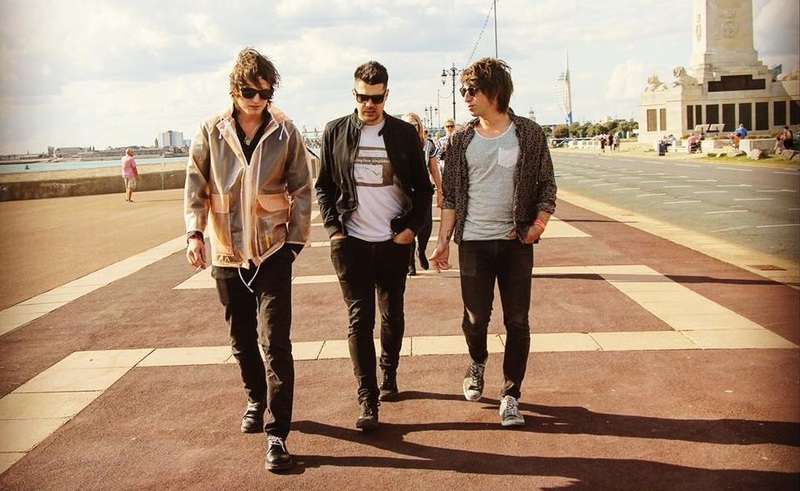 They are Jack Jones (vocals, guitar, spoken word), Wayne Thomas (bass, vocals) and Rob Steele (drums). Our debut album ‘Swansea to Hornsey’ is out now. The guys have been in town before at the Hope & Ruin – watch the video of a live recording of ‘Beautiful Pain’ filmed at the venue HERE. The support slots are taken by The Surrenders, Lacuna Bloome and King Kuda. 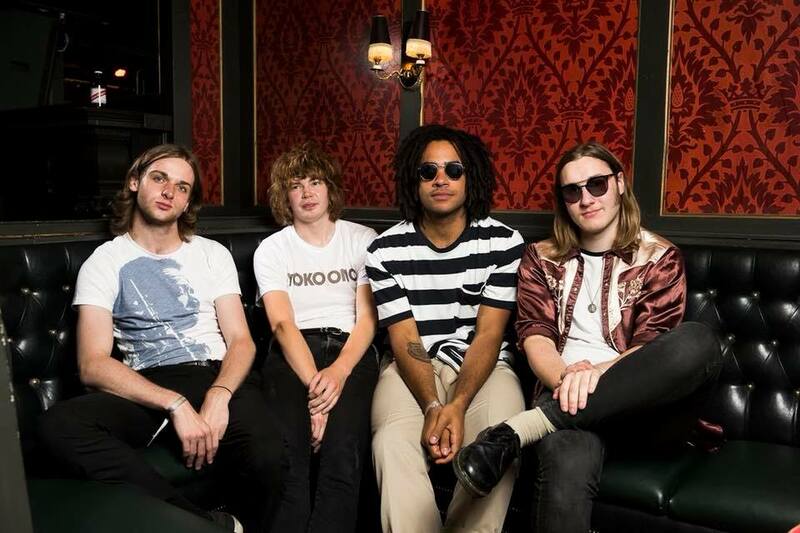 The Surrenders are apparently a band of seekers, movers and malcontents not looking to get by on fans sentimentality towards guitar music but with their music alone. 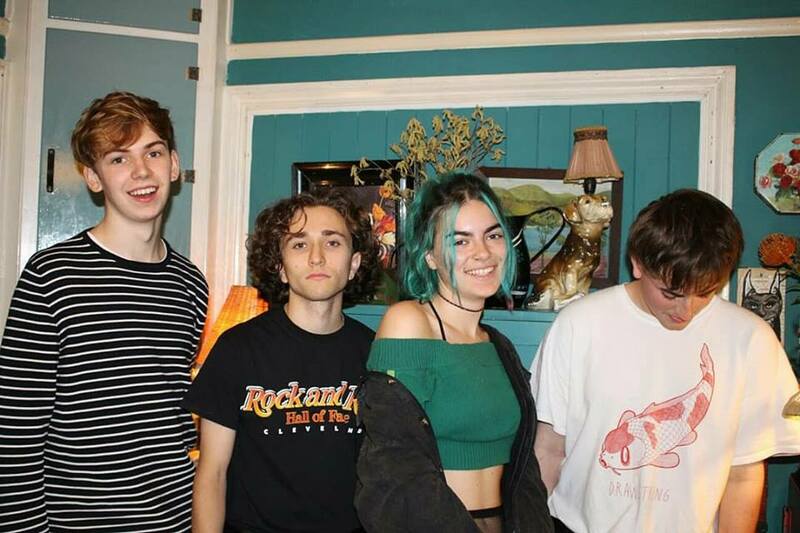 Lacuna Bloome have successfully filled the void vacated by the early recordings of The RPMs. Their sound is a pleasant blend of all things Oasis, Stone Roses and The Primitives. 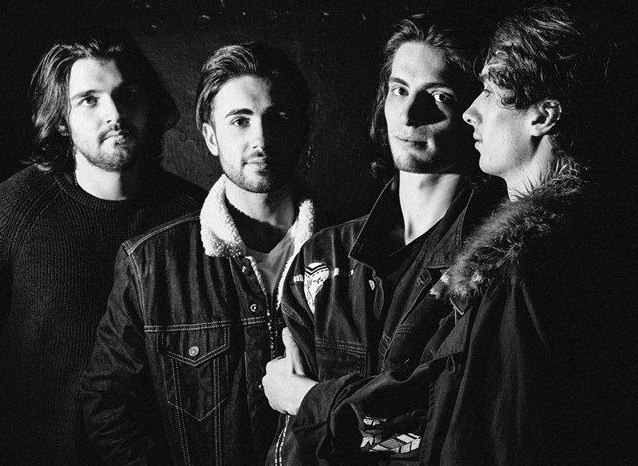 The four King Kuda lads inform us that they met at uni and are purveyors of alternative dreamwave and we would add that their sound is chart ready melodic indie funk with a hint of Embrace. Sounds like a night not to be missed, so grab your tickets HERE.